In early 2000’s, when popularity of online Forex trading began to proliferate, first traders that opened accounts were mostly experienced professional speculators with background in old-style phone and (even floor) trading in currencies, equities, or commodities. This group largely consisted of mature men and (rarely) women. A bit later during that period, followed people without any financial background but with great interest in online technologies — they were fascinated by the perspective of earning money using technology and intellect without the hassle of going through traditional offline brokerages. This group generally comprised IT professionals who were adults of course. With the spread of both the internet and the trading platforms since late 2000’s, kids got exposed to significant amount of information about the foreign exchange market. Underage trading became a trend despite the tighter regulation with KYC/AML requirements. Perhaps, it has always been an issue, but in a more concealed manner. Nowadays, there are multiple discussions on forums and social networks related to people younger than 18 involved in trading. Pretend to be of the necessary age and use a broker that does not conduct proper due diligence on traders. This way is quite risky as such brokers are poorly regulated and could easily scam a trader. Use a cryptocurrency-based broker that offers trading in Forex. Such brokers usually do not bother with personal identification or other documents unless a trader wishes to withdraw or deposit in fiat currencies. Sadly, these brokers often present the same risks as the unregulated companies from the previous option. Trade in someone else’s account — e.g., a relative’s or a friend’s. For example, a dad could allow his son to trade on his small live account without allowing withdrawals there. This can potentially lead to some unfair situations because a trader does not own what is on the account, and the account owner could easily walk away with all the profits. Custodial account, which is opened by a guardian in benefit of a minor trader can be a well-balanced option if a broker supports this kind of accounts. Surely, starting FX trading as an older person has its advantages — such traders have more life experience and usually are able to recognize dangerous situations with less trust in things that are too good to be true. The disadvantage of a later start is that it makes it difficult to learn and master new skills and abilities required to trade Forex successfully. Younger traders are more predisposed to adopt new technologies and a ready to endure long periods of unprofitable trading while learning. My own impression is that nowadays traders of all ages enter the world of Forex on balanced shares, maybe, with a slight bias towards younger side. I myself started trading Forex at the age of 20, which is neither too early nor too late by the modern standards. I would say that it was a great age to start at this particular occupation. And when did you start? 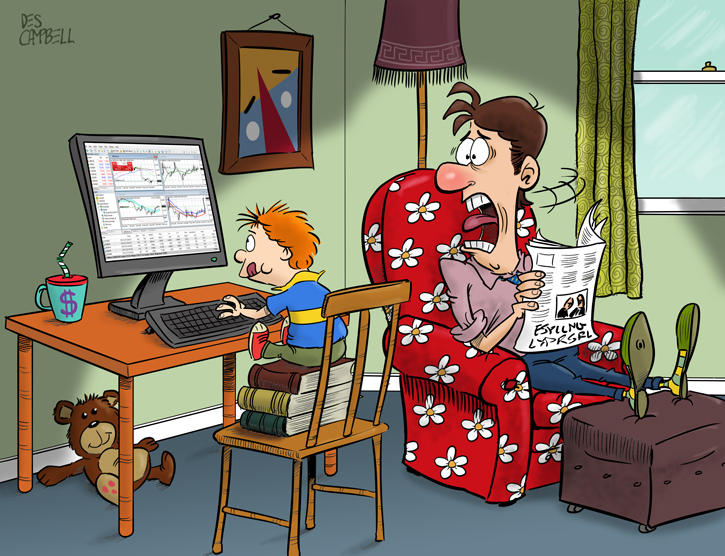 At what age did you start to trade Forex? If you want to relate the story of your Forex journey’s beginning, feel free to do so using the commentary form below.